Darts, a worldwide famous sport today, traces its origins in England where most of the professional dart players today originate. Darts holds the key towards the national past time sport, similar to that of football and basketball which has been a famous activity in parts of America and Asia to date. Darts for its part has been known to be only a recreational activity that goes along with beer. 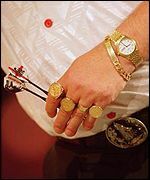 But the level of competition that many would refer to as the Masters of Darts tournament have their own set of traditions and distinctions. Darts actually originated in the middle ages where soldiers would hurl arrows on the upturned side of a barrel where arrows would be hurled closest to the cork bung, with the closes being the winner. Today, the concept has been totally developed into bulls eyes, where the score would be higher than that of farther hit targets in darts.